This article explores the opportunities to apply cognitive load theory and four-component instructional design to self-directed learning. Learning tasks are defined as containing three elements: learners must (a) perform the tasks, (b) assess their task performance, and (c) select future tasks for improving their performance. Principles to manage intrinsic and extraneous load for performing learning tasks, such as simple-to-complex ordering and fading-guidance strategies, are also applicable to assessing performance and selecting tasks. Moreover, principles to increase germane load, such as high variability and self-explanation prompts, are also applicable to assessment and selection. 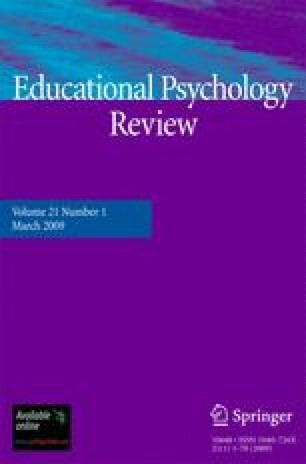 It is concluded that cognitive load theory and four-component instructional design provide a solid basis for a research program on self-directed learning. Corbalan, G., Kester, L., & van Merriënboer, J. J. G. (2008b). Selecting learning tasks: Effects of adaptation and shared control on learning efficiency and task involvement. Contemporary Educational Psycholoy, 33, 733–756. doi: 10.1016/j.cedpsych.2008.02.003. Kicken, W., Brand-Gruwel, S., van Merriënboer, J. J. G., & Slot, W. (2008) Design and evaluation of a development portfolio: How to improve students’ self-directed learning skills? Instructional Science. doi: 10.1007/s11251-008-9058-5.